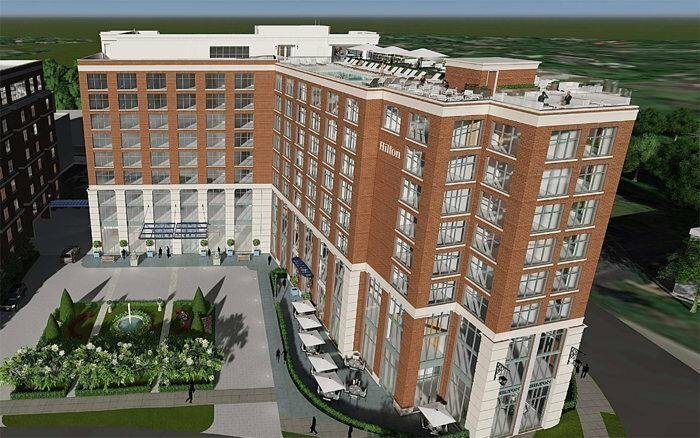 Chartwell Hospitality LLC announced today the grand opening of the 210-guest-room Hilton Nashville Green Hills, a contemporary property featuring high-end custom designs and an abundance of meeting and event space. As the neighborhood’s only full-service hotel, Hilton Nashville Green Hills is located just five miles from downtown Nashville’s central business district in the popular Green Hills neighborhood. This location is central to Fortune 500 businesses and world-class dining and shopping options, including The Mall at Green Hills, a premier shopping destination in the Mid-South. Collaborative Studio designed the interiors for the project – interior photos to follow soon.